Over a year ago, Mortech integrated LPMI pricing into Marksman - offering greater flexibility for loan officers, while ensuring they remain compliant amongst ever-changing and tightening CFPB regulations. Now, with over a year of LPMI data within Marksman, we pulled that data to see how many Marksman users have begun to utilize this feature. As you can see, over the last year LPMI has seen substantial growth when compared to BPMI quotes in Marksman. 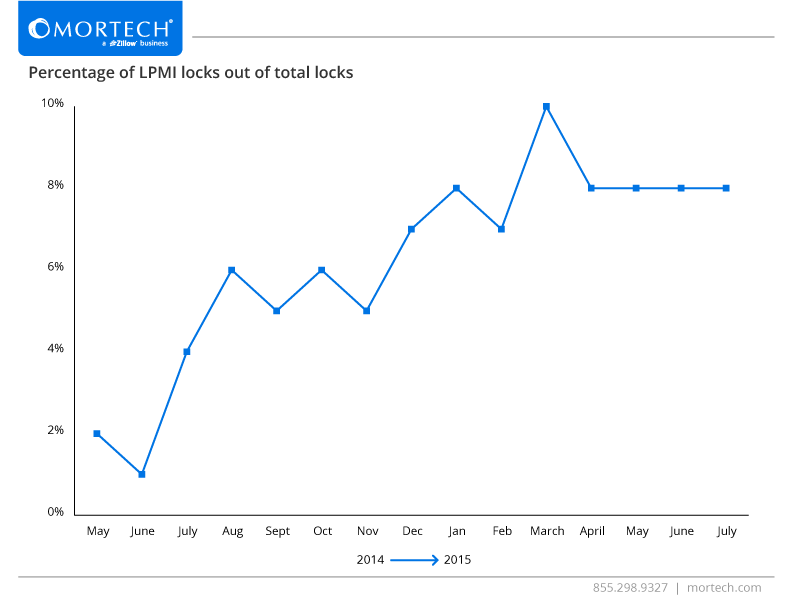 While only about 2% of Marksman users were utilizing the integration on launch, LPMI usage in Marksman has since seen a growth of up to 8%, with the amount of LPMI users peaking at 10% of the total loan locks from March of this year. While that percentage has gone down slightly, LPMI usage has plateaued at 8% over the last few months, and that span has become the first instance of consistently higher LPMI usage in our mortgage pricing engine since the launch of the integration. The integration of LPMI into Marksman is just one way that Marksman users find life a little bit easier, and as more users begin using the integration, we never stop working to improve each feature, and Marksman as a whole to provide the best possible tools for the job. For more information on Marksman’s features, you can look here. Or if you’d like to know more about how Marksman can help you and your business directly, you can schedule a free, consultative demo with our team today.